The EL Series is a line of modular aircooled, DC electronic loads used to test power sources such as batteries, power supplies, generators, chargers, fuel cells, etc. Power ratings start at 1KW; standard models have maximum test capabilities of 50, 200, 400 and 600 volts. High current and power operation are achieved via parallel connection in a master/slave configuration. Individual modules are capable of up to 5KW and 800 amperes. The EL Series offers unique Functional Modularity. Functional Modularity allows the load to be retrofitted to increase load power/current as required for undefined future applications. Purchase the capability needed today with assurance of future power/current upgrades. The result is an Electronic Load maximizing the most important specification: VALUE = $/Watt. When the requirements increase, the load may be upgraded. All EL loads operate as master or slave and come with or without front panel control and readouts. Up to 15 additional loads can be driven with one acting as a master. 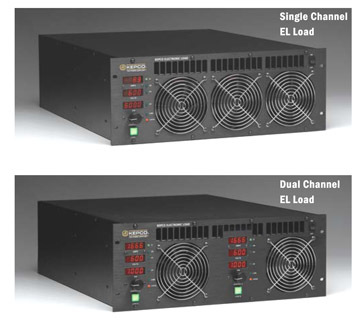 Four Dual channel models include two completely independent 1KW loads in a single chassis. These can be conveniently arranged in master/slave configuration for 2KW capability when needed. EL are CE Marked per the LVD, EMC and RoHS 2 Directives. See applicable Declaration of Conformity. 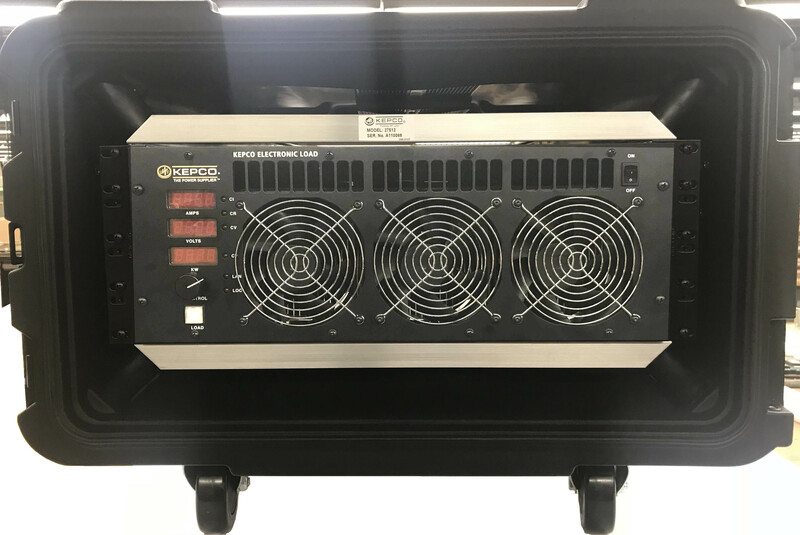 EL model 3K-200-300 is an integral part of the Kepco Model 27511 Portable Power Supply Tester, which mounts the EL Load and an RA 19-4C-26464 rack adapter in a shock and water resistant transit case. 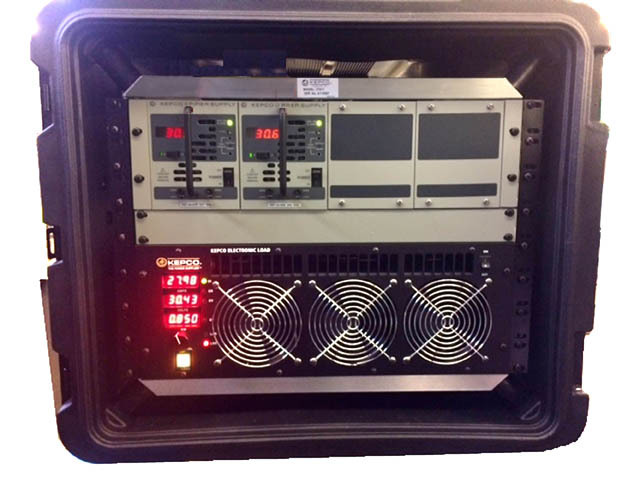 The result is a portable solution for testing Kepco's parallel-connected hot swap HSF 24-50M power supplies. Kepco Model 27512 consists of EL model 2K-200-200 in a shock and water resistant transit case. This makes the load mobile, and allows it to be safely moved to where the equipment to be tested resides, rather than transporting the equipment under test to a central location.